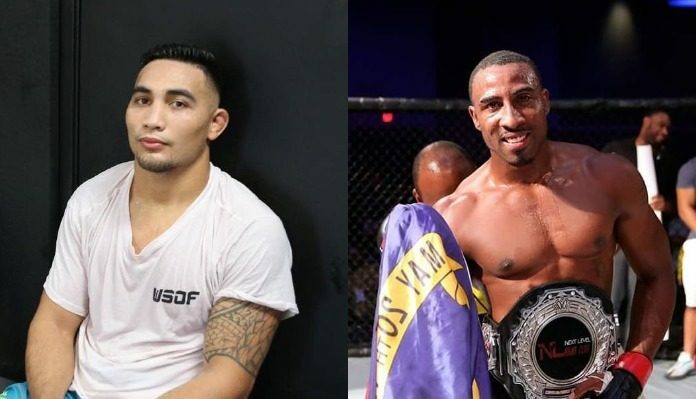 The upcoming return of Dana White’s Tuesday Night Contender Series continues to take shape, with the addition of a 185-pound matchup to the season premiere on June 18. In a middleweight tilt, Puna Soriano (5-0) will square off with Jamie Pickett (9-3), BJPenn.com has learned. Only five fights into his professional mixed martial arts tenure, Hawaii’s Soriano is already starting to turn heads. All five of the 26-year-old middleweight’s bouts have ended in the first round with Soriano victorious. A close confidant of well-known MMA manager Ali Abdelaziz, Soriano trains alongside a who’s who of talent. Working for Dominance MMA, “Story Time” has traveled across the globe, training with some of the top fighters in the world along the way. Looking to spoil Soriano’s bid at UFC greatness is a returning Contender Series veteran, Jamie Pickett. The 30-year-old Carolina native’s first UFC opportunity came in 2017 in the second ever bout of Dana White’s Tuesday Night Contender Series. Charles Byrd swiftly finished Pickett via arm triangle choke in Round 1. Since that time, Pickett has won both of his seceding bouts via first round TKO. Stay tuned to BJPenn.com for all of the latest on the upcoming season of Dana White’s Tuesday Night Contender Series!